Good evening from EPHQ everyone! I’m one wedding photographer who’s MEGA excited to share that I’ll be a guest speaker at the South Orange County Bridal Open House at the Mission Viejo Country Club. AND more recently – getting hired as Director of Photography & Actor for a movie that’s being filmed tomorrow for “The Token Minorities” comedy troop, being the Set Photographer AND as an Actor on the award winning movie; “Skyfell (And I Can’t Get Up)” for The Toscars & photographing the John B Concert all the while kicking off the EPIC Military Discount Program, AND landing two new sponsors that I’m about to share with you soon. 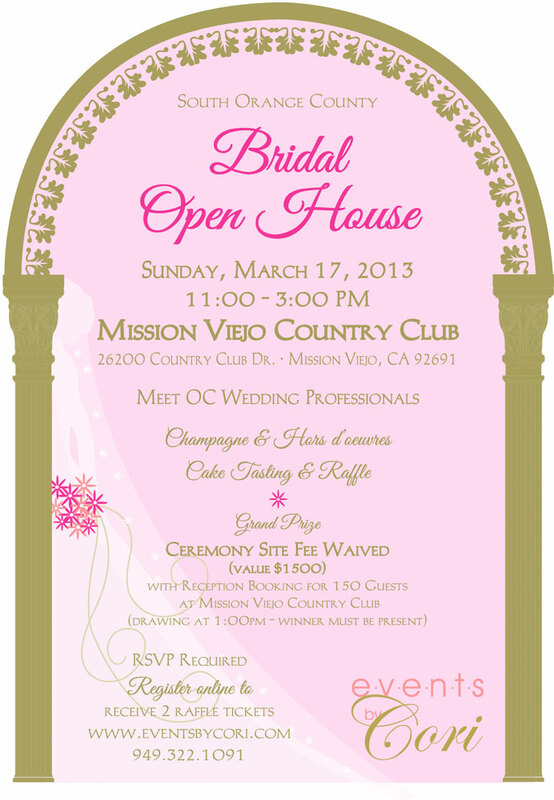 Well now I am happy to share that I’ll be giving a live presentation of “How To Make The Most Out Of Your Wedding Day” this Sunday, March 17th at the Mission Viejo Country Club. Which was where I had the honour of photographing Stacie & Mike’s Wedding. Above is an invite to the event & if you’re you’re looking for some great information from some of the industries best vendors along with the chance to have your fee waived for your wedding – you should definitely register at: www.eventsbycori.com. If you have any questions about the event, feel free to comment below or contact me anytime day or night. I’m available just about 24/7 via Twitter, Facebook, Google+, the form on my contact page, or the old fashioned phone as well at 888.ESQ.PHTO (888.377.7486) or 562.225.5915.